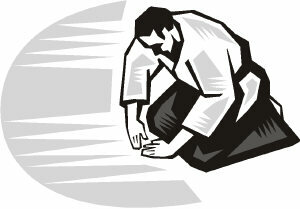 You can get off to a quick start with this Aikido beginners guide. We offer you great tips on some of the best steps to take, and useful tools, like the unique Aikido Success Blueprint to fast-track your skills. Increased stamina, speed, flexibility, etc. But this can be solved, and you can get on the fast-track, prevent and avoid unnecessary setbacks, and develop your Aikido abilities quickly. In this Aikido beginners guide, I want to alert you, that there are, of course, some negative experiences that you will definitely want to avoid. If you can avoid these circumstances, as much as possible, Aikido practice offers you amazing life skills, if not your progress can be rather slow, or even stop completely. First of all you will need to choose the right instructor, as you may be training under them for many years. If you don't make a good choice, then it may slow your progress. 1 - Great Instructor, experienced, innovative, forward thinking, positive, encouraging, and dedicated to passing on the skills passed to them, but with 21st century ideas and principles added to use the art in daily life. 2 - Experienced Instructor, but egotistical, too disciplined who tend to bully their students, who in turn bully their students, and so on. The aim is often to hold students back, so they will not be better than them. 3 - Inexperienced Instructor, who's heart is in the right place, but they have not examined the art enough, and cannot tell students why things are done the way they are. They have just copied their instructor! 4 - Completely unqualified Instructor, who is full of themselves and already think they have arrived at perfection, so there is no need to practice or study further. Avoid these at all costs, to prevent failure! ...some of the pitfalls along the path! Of course this type of scenario is not just in Aikido. You will find a variety of these conditions in instructors from all martial arts, sports, and EVERY other aspect of teaching in society, wherever you live. Some are good, some are not bothered, and some are bad. This information in this Aikido beginners guide is given because I truly want you to have a good experience as an Aikido beginner. That's why I wrote and offer the following collections of unique knowledge and wisdom... Aikido Success Blueprint, Optimum Health Secrets and Self Defence Secrets. They offer you valuable insights, that will help you get on the right path, and... stay on it! So, once you have chosen a good instructor, you will need to study the basic techniques, over and over until you can perform them any time. I recommend that you focus more on receiving techniques rather than performing them. This way you will learn how to fall well and avoid any unnecessary setbacks or injuries. Over time, you will begin to understand the essential principles, that make the techniques work so well. You will also pick up and use timing rather than power. Power is good and works for many years, but as you get older, and lose some of your muscle strength, then you need timing.